BUCYRUS — On Friday night, the Colonel Crawford Eagles football team made the short trip to Bucyrus for a Northern-10 Athletic Conference clash against their rivals, the Wynford Royals. In the low-scoring contest, the edge would go to the hosts as the Royals downed the Eagles by a final score of 14-7. With the loss, Colonel Crawford falls to 3-2 overall on the season and now sit at 1-1 within the N-10. For Wynford, they improve to 4-1 overall and 2-0 in the conference. For week six action, the Eagles will play host to the undefeated Mohawk Warriors. Mohawk held on against the Seneca East Tigers on Friday, 31-24 to move to 5-0 overall, including 2-0 in the N-10. 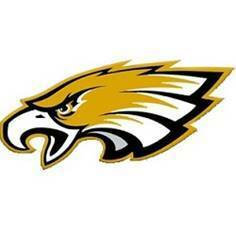 Seneca East (4-1, 1-1) will host Wynford on Friday, September 28. The defense for both teams would prove to be stout in the opening quarter, holding each other’s offenses scoreless. In the second quarter, it would be the home team reaching the scoreboard first thanks to a Blake Sparks 10-yard touchdown run and with the Ethan Morrison extra-point, Wynford moved ahead; 7-0. Colonel Crawford would provide an answer though thanks to a 14-yard touchdown reception by Owin Seevers from quarterback Zye Shipman. Drew Krassow would add the PAT and the teams would head into halftime locked at seven points apiece. The third quarter would see both teams posting a zero to send the game into the final 12-minute frame. Neither team would be able to manage much offense in the fourth but it would be the Royals scoring on a Gavin Burris nine-yard touchdown scamper and with the addition of Morrison’s PAT, Wynford would hold on to survive over the visiting Eagles; 14-7. Crawford would manage more yards of total offense against Wynford on Friday, posting 244 yards (110 passing, 134 rushing) to the Royals 231 (64 passing, 167 rushing). However, the Eagles did commit four turnovers and were flagged for eight penalties totaling 54 yards. Shipman finished the contest with 110 yards on 13/24 passing attempts, good for one touchdown and an interception. Jordan Fenner and Seevers would be Shipman’s primary targets on the night as Fenner recorded 51 yards on four receptions and Seevers finished with 40 yards on four catches while posting the Eagles’ only touchdown. Other statistics for Colonel Crawford in Friday’s loss were: Chase Walker- 3 catches, 21 yards; Tristan Cross- 11 carries, 78 yards; Dylan Knisely- 12 carries, 36 yards; Colton Rowland- 2 carries, 15 yards; Dylan David, Brevin Balliett and Seevers- 1 interception apiece. In other N-10 action, Carey (3-2, 1-1) defeated Bucyrus (1-4, 0-2); 42-14 and Upper Sandusky (3-2, 1-1) downed Buckeye Central (0-5, 0-2); 42-6.